"I've done my job when everyone walks away winning. " With over 30 years experience in government affairs and advocacy, Ted knows how to bridge the gap between his clients' worlds and government. A second-generation lobbyist and association executive, Ted has a reputation as a listener who takes the time to learn about his clients and translate their needs and concerns into the language policy-makers understand. Ted served for over thirteen years as the Government Affairs Director for the Pennsylvania Optometric Association. During that time he developed the grassroots network for optometrists, making them a political force in Harrisburg. He also served as President of the Pennsylvania Association for Government Relations and currently chairs the Pennsylvania Alliance of Health Care Providers, a coalition of organizations representing many health care professional groups. Among his accomplishments, Ted has helped shepherd through legislation to modernize the law licensing and regulating audiologists and was part of the effort to update the Small Games of Chance law. 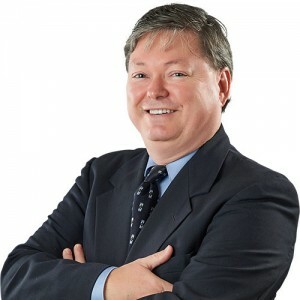 Ted is a Certified Association Executive (CAE), a member of the American Society of Association Executives, and the Pennsylvania Society of Association Executives, for which he serves on the Membership Committee. Ted is a 1983 graduate of The Pennsylvania State University with a Bachelor of Arts in Political Science. When he isn’t moving and shaking under the dome, Ted captains our “Bowl for Kids’ Sake team benefiting Big Brothers/Big Sisters and serves as president of the Friendly Sons of St. Patrick. He is also very involved in the Four Diamonds Fund and in his spare time is an avid, though not ready for prime time, drummer and golfer.